This entry was posted in Midd Blogosphere on April 11, 2017 by Joseph Watson. 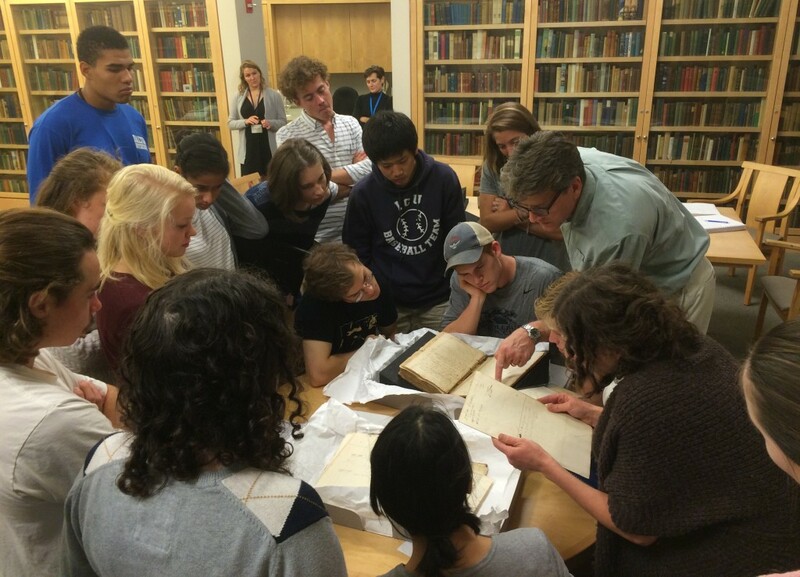 Five classes visited Special Collections last week, studying a wide range of materials. We shared hundreds of items, from classic Greek stories published in Venice in the 15th century, to an 18th century Torah, to 1930s government reports on eugenics policy in Vermont. 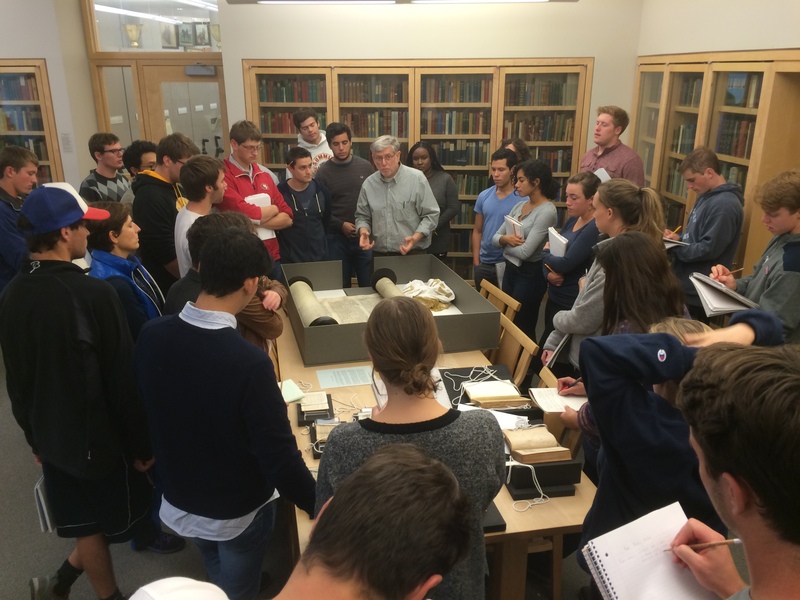 This entry was posted in Midd Blogosphere and tagged classes, College Archives, libspotlight, MiddPoints, Rare Books & Manuscripts, Special Collections, Special Colltions on October 2, 2015 by Joseph Watson. Drawn from our newly digitized historic 16mm films, a taste of what life in the Summer Language Schools was like in the middle of the 20th century. Enjoy! French School Outings In this clip from the early 1940s, students and faculty of the French Summer Language School take a break from classes and enjoy the program’s long-running tradition of weekend trips off-campus. With a beautiful view from the top of Chipman Hill, they roast bacon-wrapped sausage and sing songs. In another outing, they can be seen picnicking on the shores of Lake Dunmore at the Waterhouse Pavilion. Honorary Degree On August 8, 1946 French Ambassador to the United States Henri Bonnet was awarded an honorary Doctor of Laws degree by Middlebury College president Samuel S. Stratton. André Morize, a close friend of Bonnet’s and the retiring director of Middlebury’s French Summer Language School was also honored at the ceremony. 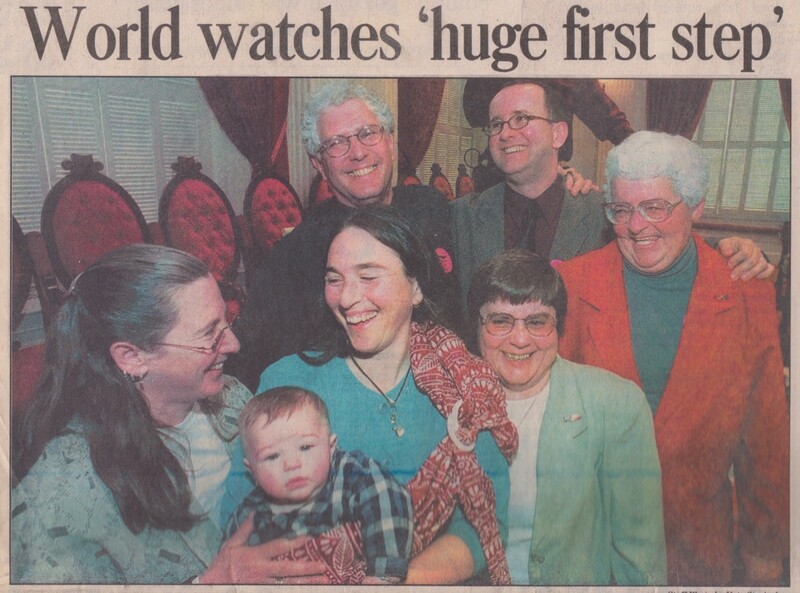 This clip shows the reception held outside of Mead Chapel following the event. Attendees include the poet Robert Frost. 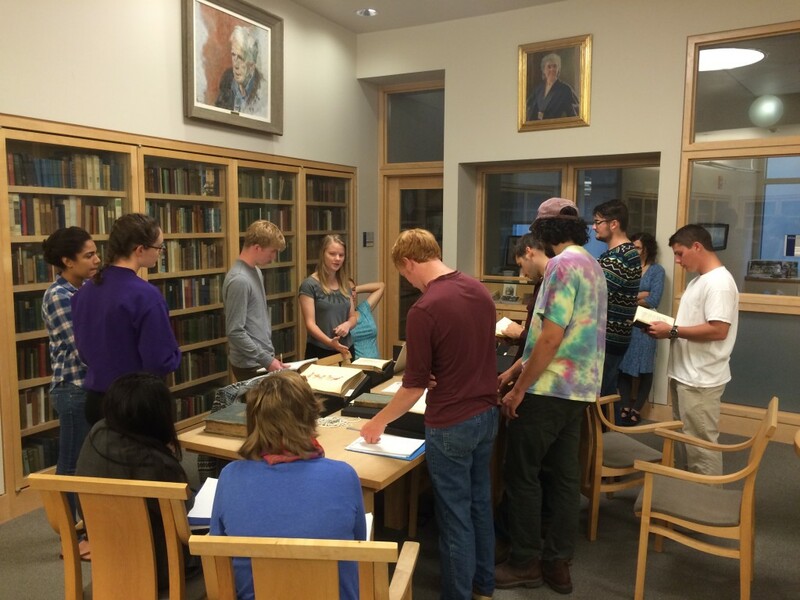 And finally, a documentary film crew spent time in the College Archives in the summer of 2014 gathering sound recordings, film clips, and photos for this short film marking the centennial of the Summer Language Schools. Thanks to the Language Schools for making this film widely available. This entry was posted in Midd Blogosphere and tagged College Archives, films, Language Schools, libspotlight, MiddPoints, Special Collections on June 30, 2015 by Joseph Watson. 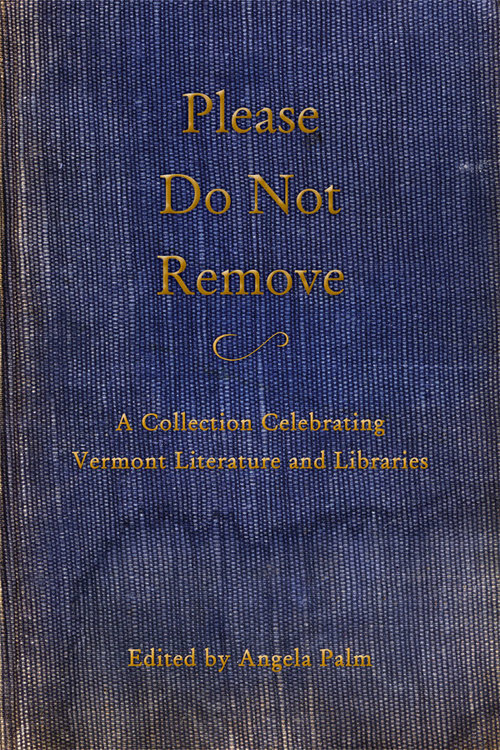 We are pleased to present, along with the New England Review as part of their VT Reading Series, a reading from Please Do Not Remove: A Collection Celebrating Vermont Literature and Libraries. 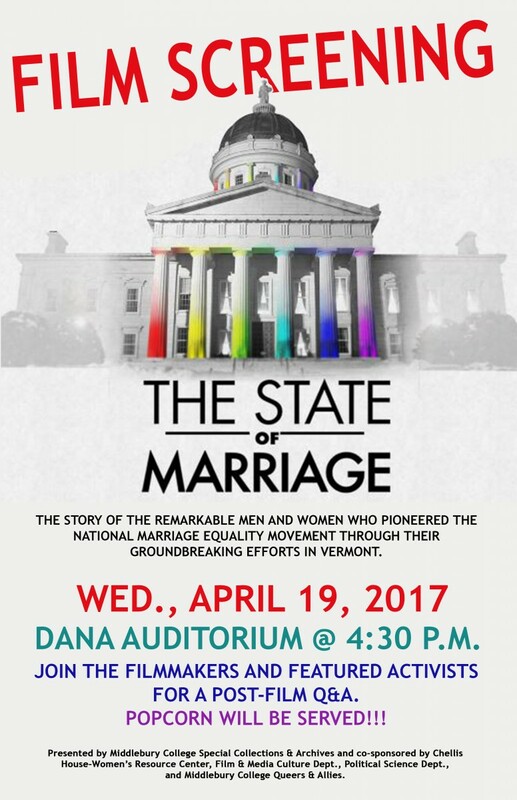 This special event will take place in the Davis Family Library Special Collections and Archives Room 101, at 4:30 p.m., Tuesday, March 10. The book’s editor, Angela Palm, and three contributors—David Dillon, Karin Gottshall, and Gary Margolis—will read from and discuss selections from the anthology. A reception will follow, and copies of the book will be given as a door prize. Free. 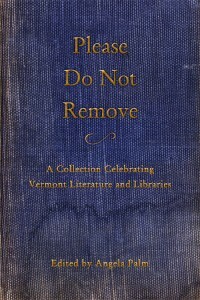 Please Do Not Remove (Wind Ridge Books, 2014) is an anthology of twenty works of prose and poetry by writers who represent Vermont’s rich literary tradition. Each piece in the book is inspired by an old library check-out card and incorporates libraries in some way. Corresponding color photographs of the cards, taken by Nick Adams, accompany each work. Ten percent of the book’s net proceeds will be donated to the Vermont Library Association for as long as the publication is in print. David Dillon is a poet who lives and writes in Vermont’s iconic Northeast Kingdom town of East Albany. His poem “Northeast Kingdom Wind Song” recently was selected as the winner of the Vermont Broadside Poetry Competition. He was born in Vermont and worked as a journalist in New York, Pittsburgh, and Washington, D.C., before returning home. His most recent book is From the Porch. Karin Gottshall is the author of Crocus, winner of the Poets Out Loud Prize, and several independent press chapbooks. Her new collection, The River Won’t Hold You, won the Ohio State University Press/The Journal Prize. Her poems have appeared in Crazyhorse, FIELD, The Gettysburg Review, New England Review, and many other journals. She teaches at Middlebury College. Gary Margolis, PhD, is Emeritus Executive Director of College Mental Health Services and Associate Professor of English and American Literatures (part-time) at Middlebury College. His third book, Fire in the Orchard, was nominated for the 2002 Pulitzer Prize in Poetry. His poem “The Interview” was featured on National Public Radio’s “The Story” and Boston’s ABC Channel 5 interviewed him on the Middlebury campus reading his poem, “Winning the Lunar Eclipse,” after the 2004 World Series. This entry was posted in Midd Blogosphere and tagged Events, libspotlight, MiddPoints, Special Collections on March 4, 2015 by Joseph Watson. Fun in the snow at Middlebury College! These recently digitized 16mm films haven’t been seen in more than fifty years. This silent film montage shows scenes of the 40 meter jump on Chipman Hill, early ski trails at the Snow Bowl and the “new” 50 meter ski jump, Mountain Club outings to the winter woods, and even “aero-skijoring” on Lake Champlain. Winter Carnival the way it was in the middle of the last century! And this newsreel produced by Paramount Pictures in 1949 is an entertaining glimpse back into a unique moment in time. 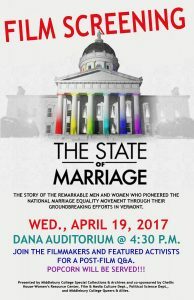 It was shown in movie theaters throughout the country before the feature film. This entry was posted in Midd Blogosphere and tagged College Archives, films, libspotlight, Middlebury, MiddPoints, Special Collections, Vermont, Winter on February 13, 2015 by Joseph Watson. This entry was posted in Midd Blogosphere and tagged libitsblog, libspotlight, MiddPoints, Special Collections on November 20, 2014 by Joseph Watson. 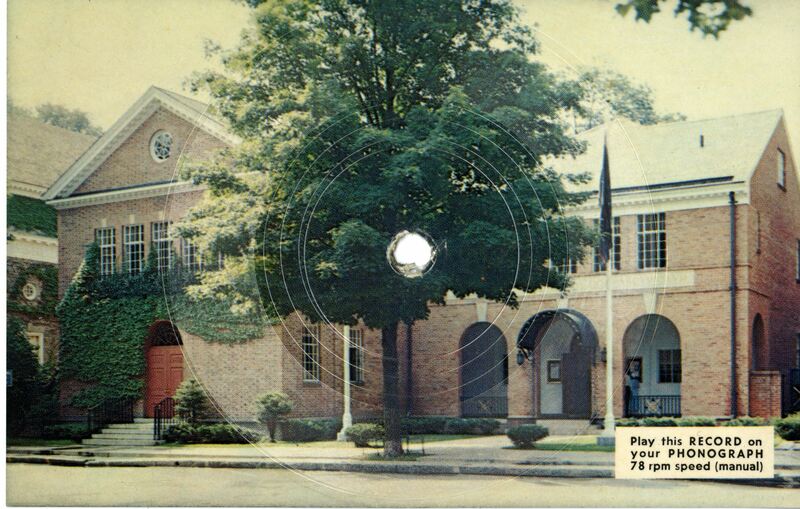 This entry was posted in Midd Blogosphere and tagged For Faculty, For Staff on April 24, 2014 by Joseph Watson.